Taste, shop, sample and learn with us! Taste, shop, sample and learn while supporting the local economy and local artisanal vendors at our seasonal shows and pop-up shops celebrating the city’s finest local, sustainable and handmade edibles, homegoods, and lifestyle goods. Launched in 2010, Artisanal LA was the first showcase of handmade edibles and home goods of its kind and is still regarded as a trendsetter and industry leader in the space. 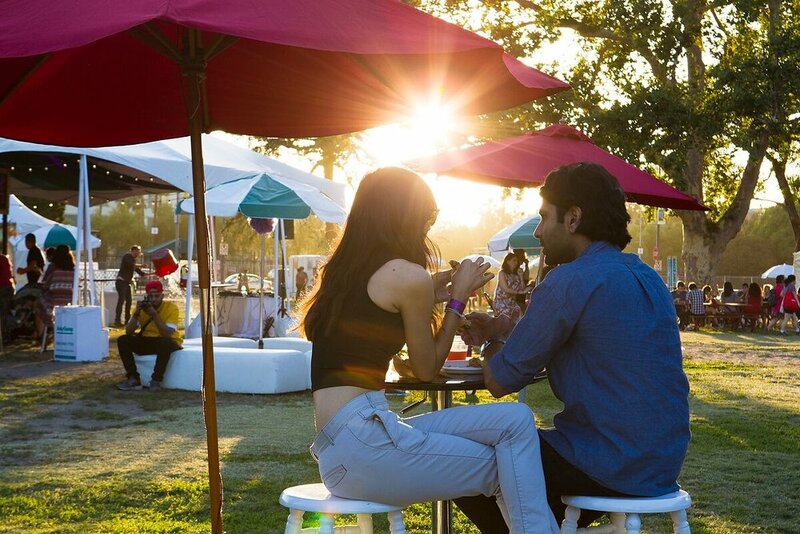 With programming packed twice annual seasonal showcases downtown—the Spring and Fall Shows, annual Holiday Markets, and pop-ups with partners like The Grove, West Elm, and Coachella Artisanal LA is a known brand for many Angelenos. Past season's events have drawn crowds of 5,000-10,000+ attendees (20,000+ at our Old Pasadena Holiday Market) and thanks to an in-house marketing and PR team, has garnered a great deal of press and media coverage including hundreds of articles and posts, broadcast features on NBC4 and FOX11, and a spread in Bon Appétit. Attendees have the opportunity to shop from artisans at our seasonal shows, and meet up-and-coming makers who share a passion for healthy, local, and sustainable ingredients in a meaningful way. Many of our artisans launch with us and aren’t yet accessible through retail stores or even through farmers markets. 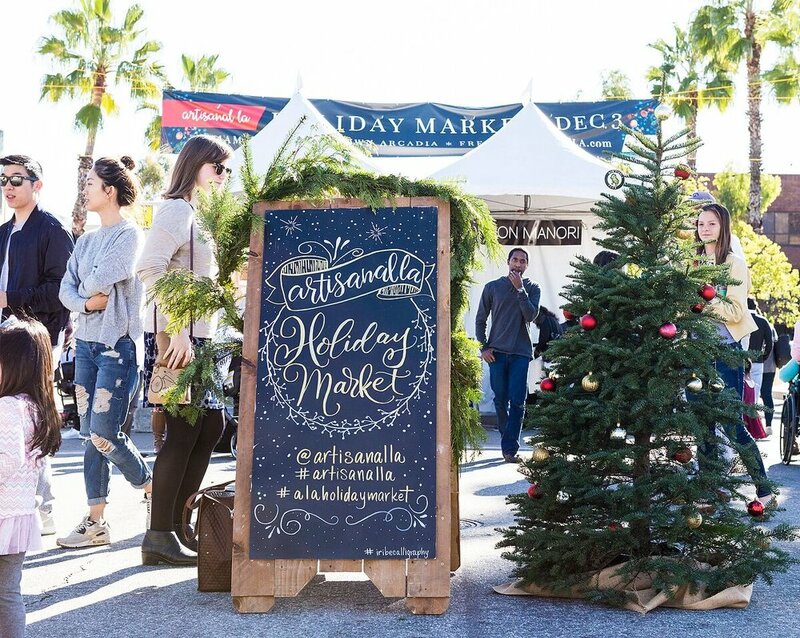 The exciting shopping events make it easy for you to buy local, support LA’s economy, discover new favorites, get a jump on holiday shopping, and join in community while having a ball. 100% of our vendors’ products are USA made by independent makers, crafters and chefs. OUR MISSION IS TO REDUCE BARRIERS TO MARKET FOR INDIE MAKERS THROUGH EDUCATION, OPPORTUNITY, & AWARENESS. See our Vendor FAQs page for more information on how you can get involved! Founder Shawna Dawson (right) holding City Recognition Award. The Artisanal LA brand was conceived right here and has grown and evolved with our founder and team of native Angelenos and is still entirely curated, managed, produced and promoted entirely in house by our Angeleno, Inc / Sauce LA team. We love and understand this market in a way that only locals can and we couldn't be more passionate about supporting our local businesses and fellow entrepreneurs. We call Los Angeles home with primary offices in Old Pasadena's historic Bear Building at Fair Oaks and Colorado. Stop by and say hi! Shawna Dawson is a native Angeleno, USC grad and a brand, marketing, PR, social and viral media maven with two decades of experience doing business in more than a dozen countries, from the US to Romania and Japan. An avid believer in the power of community, she was blogging in her spare time when she took the reins as Director of Marketing and Community Manager at Yelp, spearheading development of the LA market by cultivating a loyal following alongside countless sponsorships, cross promotions and memorable events that more than quadrupled the market in a few short months. At the helm of the boutique marketing and PR firm Sauce LA, Shawna and her team consult clients, including many of the city’s top chefs and award-winning restaurants, on the virtues of grassroots, social and viral media alongside traditional PR. Shawna and her team have launched more than ffifty projects of their clients’ and their own in the last six years from downtown’s Lazy Ox and Lindy & Grundy to Bill Chait’s Sprout Group restaurants Test Kitchen, Sotto and Picca to Short Order, Short Cake and Playa, to Bestia, Petty Cash and Republique, creating one of the city’s most prolific press machines. The team currently works with a client roster of talent that ranges from top chefs and brands to some of the city’s most iconic, historic restaurants. She’s passionate about supporting and creating marketing opportunities for other small business owners helping them get from idea to execution. Shawna, her brands and clients have been featured in numerous publications from the Los Angeles Times and LA Weekly to Bon Appétit and New York Magazine and she was most recently recognized by the Mayor’s Office of the City of Los Angeles for her work supporting fellow entrepreneurs through Artisanal LA. She’s partnered with the city’s brightest luminaries on a number of community projects including a recent bid for the Greek Theatre with Nederlander/AEG and Old Pasadena’s Artisanal LA Holiday Market in partnership with the City of Pasadena. She gives her time to teach various groups about marketing and PR, is a Kiva Trustee and a proud board member for a number of local groups and associations.